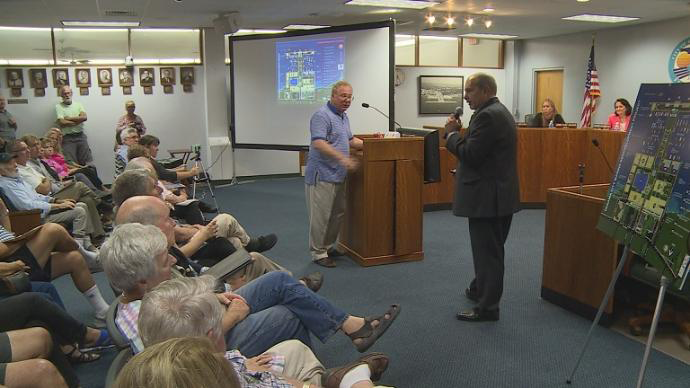 PANAMA CITY, Fla. (WJHG/WECP) – Despite new developments to the current plans for the marina project, some Panama City locals say they still are not pleased. Project developer Bob Sonnenblick presented new plans with the changes he says the city commissioners have expressed to him and what locals have asked about. Sonnenblick laid out his plans at city hall Tuesday evening in front of the community and commissioners. He’s added triple the amount of green space, a boardwalk, a splash pad and a public fishing pier. He’s also tripled the number of benches and seating so people can enjoy the sunset by the marina. The movie theater, water taxi terminal and hotels are still in place. Some locals at the meeting praised the project saying it’s what the area needs for revitalization. Others say the project could still use some fixing. Sonnenblick is working with Bellingham Marine. A representative from the company says they’ll be part of building more than 230 boat slips for the marina project. Sonnenblick says these changes are still not set in stone. Panama City commissioners will discuss the marina project again at their next meeting on September 26th.